Windham Southeast School District Transitional Board members, from left, David Schoales, Robert Woodworth, and Ricky Davidson listen to superintendent Lyle Holiday, right, during an April 2 meeting. 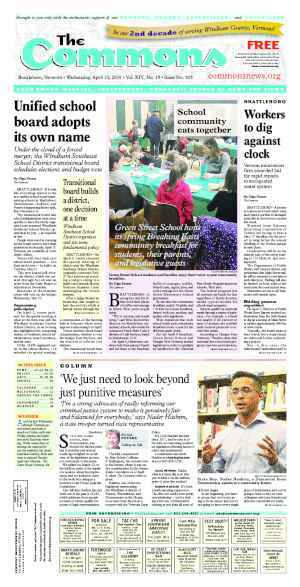 BRATTLEBORO—If it feels like everything related to the new unified school board representing schools in Brattleboro, Dummerston, Guilford, and Putney is happening lickety-split, that’s because it is. 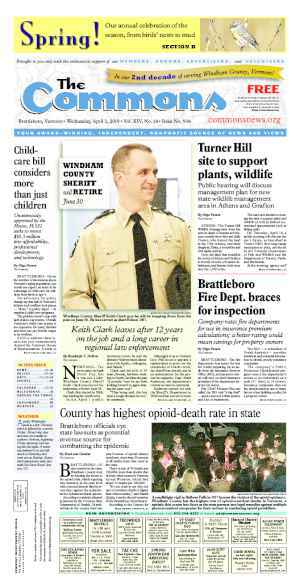 The transitional board and school administration must move quickly to have the newly organized and renamed Windham Southeast School District operational by July 1, as required by law. People interested in running for the board need to have their petitions in by Monday, April 15. Petitions are available at town clerks’ offices. Voters will elect their new school board members — two from each town — by ballot on Tuesday, May 21. This new board will oversee the district, which was created through Act 46 and an order from the State Board of Education in November. 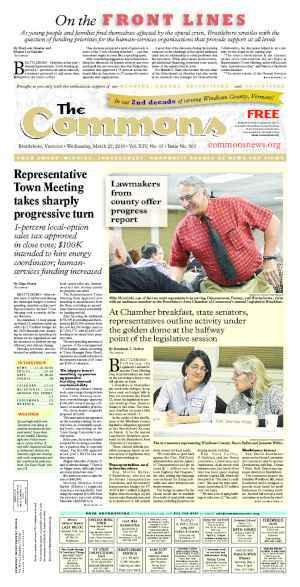 Residents in the member towns will vote on the budget Wednesday, May 22. On April 2, voters gathered for the special meeting of what at the time was still the Windham Southeast Unified School District, in an evening that highlighted the competing desires of residents, school administration, board members, and the state. Of the 14,459 registered voters in the school district, 114 attended the special meeting, a continuation of the meeting held in February where voters approved adjourning it to April. Voters decided school board compensation, whether to vote the budget from the floor, and the election of officers (see sidebar). The transitional board then held an organizational meeting, where members approved the election dates and chose a new name for the district. As far as the two meetings on April 2 were concerned, two votes — one on the method of voting, the other on the legal name of the new educational entity — highlighted the community’s attempts and the attempts of some members of the Transitional Board to wrestle some control back from the state. Pressure is mounting from Act 46, the education law that requires school districts that have not merged to do so. The law further demands that the new district must be operational by July 1. To that end, the Agency of Education released a five-page memorandum to instruct districts on timelines that will allow them to complete the merger process on time. The memo also outlined the consequences of not complying with the law — like not having a budget. Meanwhile, the current Windham Southeast Supervisory Union administration is trying to complete the legal process of establishing a new entity to comply with the law while serving its dual masters of the AOE and local transitional school board. At the same time, the 10-member Transitional School Board grappled April 2 with providing the administration with direction that balanced the needs of their respective communities against their open frustration with the forced merger. During all this, a cloud of uncertainty still hangs over the process. That uncertainty is precipitated by ongoing legal and legislative actions that could extend the timeline or halt the merger process altogether. During the special meeting, voters approved voting on the budget and all public questions from the floor. Some voters spoke in favor of voting via Australian ballot because it would allow people who couldn’t attend meetings to still vote. “We need to make greater access rather than less,” Katie Wilson of Brattleboro said. Other voters argued that voting from the floor would give the local communities more control. Transitional board member Jamie Contois of Putney said that, in the long run, communities must change state law to open the door to more types of voting — for example, voting digitally. But in the short term, to protect their schools, she urged community members to create stronger relationships and to have conversations face to face. “Because it is the only way that will allow us to survive this,” she said. Former Brattleboro Union High School #6 board member Ruth Barton, of Dummerston, said that voting by Australian ballot frequently led to budgets getting defeated. In her opinion, because voters and the administration didn’t discuss the budget, people saw only numbers that they believed to be too high. “Do you want quantity or quality of your vote?” Barton asked. Later in the evening, the transitional board stuck its flag in the ground when it voted to change the district’s legal name. In issuing its decision to force the merger, the AOE also named the new entity the Windham Southeast School District. Business manager Frank Rucker explained that the name reflects the type of school district Windham Southeast Supervisory Union was becoming. Transitional board members, however, said they were tired of the state calling the shots. Member David Schoales said the board faced a symbolic moment: a point where the group could take local action or accept state decisions that could influence the process moving forward. “Do we want to name ourselves or take the name from the state?” he asked. 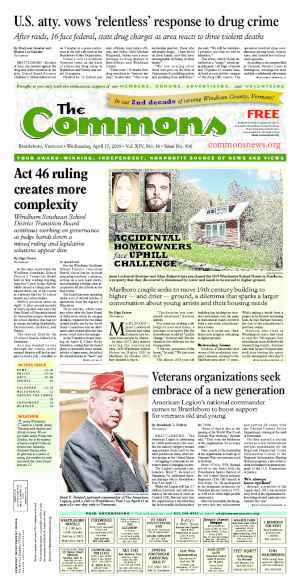 Rucker pointed out that most of the legal processes he needs to complete before July 1 — receiving a federal tax-exempt number, applying for grants, filing with the Vermont Department of Labor — require a legal business name. Given the short timeline, Rucker, who had already moved forward with those steps using the Windham Southeast Unified Union School District, encouraged the board to “stay with the provisions in statute” and adopt the AOE’s name. On a serious note, she acknowledged the pressure the administration felt from the state. She also said that the local community needs its space as a democracy to push back. “It feels like our identity is taken from us,” Contois said. “It’s not an easy process,” said Ricky Davidson, the newly elected transitional board chair. Davidson said he has served as a school board member for almost 18 years. “Nothing feels as yucky as the last year-and-a-half has felt to me,” he said. Rucker suggested the board move forward with the state’s name and then develop a doing business as (DBA) name at a later date for public use. Transitional board member Bob Woodworth said, “This is not the time for us to be doing our protest dance.” Instead, he continued, the board needed to move the process forward on behalf of the students. Audience member Andy Davis cautioned that WSEUUD was an “ungainly acronym.” It sounded a lot like “we sued,” he said. In the end, the transitional board voted to use Windham Southeast School District.